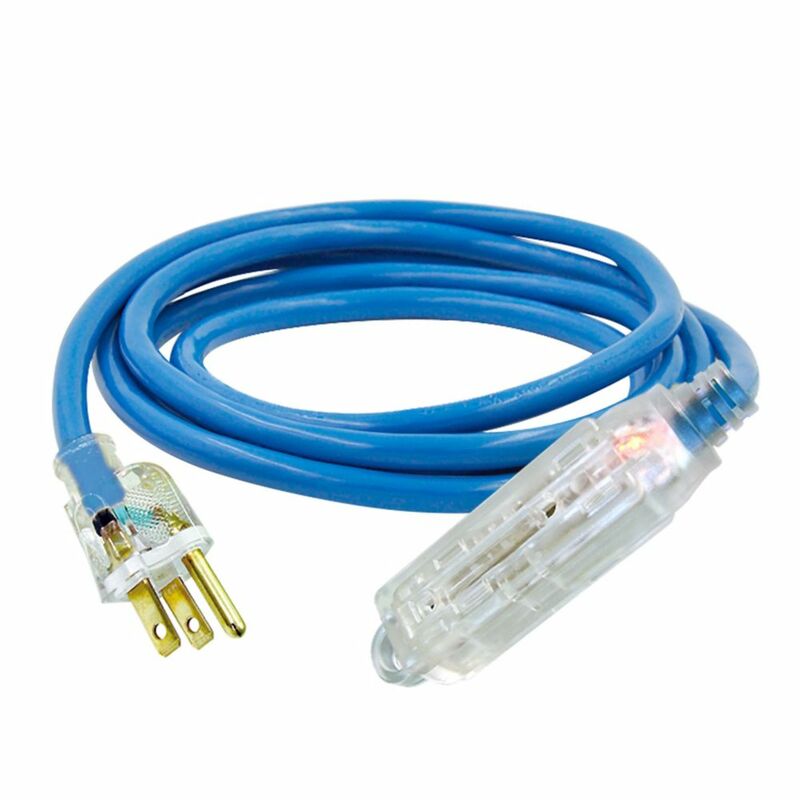 Block Heater Cord is ideal for the workshop or the garage, it is certified weatherproof and resists UV rays, this is a cord keeps flexible down to -40 degrees, it is suitable for medium-duty use, it has three grounded (three-prong) outlets. This Husky 2ft 12/3 Red and Black Multi-Outlet Extension Cord is specifically engineered for applications such as powering tools and portable lights. This cord allows you to plug multiple applications at once by easily converting one outlet into three outlets. It is made with durable vinyl jacket that resists abrasion, moisture and prolonged exposure to sunlight and are sturdy enough for both indoor and outdoor use. Medium-Duty Block Heater Cord Block Heater Cord is ideal for the workshop or the garage, it is certified weatherproof and resists UV rays, this is a cord keeps flexible down to -40 degrees, it is suitable for medium-duty use, it has three grounded (three-prong) outlets.